Lia Bello is a Family Nurse Practitioner, educated at the University of Virginia, and is Certified in Classical Homeopathy. Lia is the founder of the Homeopathic Nurses Association www.nursehomeopaths.org and past president of the Council for Homeopathic Certification. As America’s foremost homeopathic nurse educator, Lia loves to open up the world of Homeopathy to mothers, nurses and other healthcare practitioners and teaches courses around the U.S. which award CE’s for nurses. 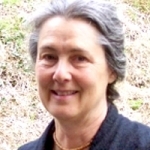 Her website, www.learnhomeopathy.org, features video courses and many informative articles. Residing in Santa Fe, New Mexico, Lia has had a private practice specializing in holistic and homeopathic acute and chronic healthcare for over 43 years. This presentation would start with a brief explanation of what homeopathy is, how it works and why it is safe for mother and infant (over the counter ). I will give info on remedy use for nausea of pregnancy, threatened miscarriage, insomnia, mal-positioning, emotional upsets/fear of giving birth/grief/post partum depression, physical trauma of giving birth, prevention of prolonged labor, natural induction, after-pains, mastitis, engorgement, jaundice, milk supply problems. I will include how remedies are dosed and administered for mother and infant.